Bill Buckingham is the manager of Kitt Peak National Observatory’s rapidly growing Visitor Program. In this role, he directs the Visitor Center, leads the team of staff and volunteers, and is directing several related projects and improvements. The largest of these is the redevelopment of the giant McMath-Pierce solar observatory into an international outreach center, Windows on the Universe Center for Astronomy Outreach. He is directing the $6.1M project which is being funded in part by a $4.5M grant from the National Science Foundation. He has developed major exhibits at NASA, one of which is being inducted into the Smithsonian Air & Space Museum. He led the creation of the award-winning Mission To Mars traveling science exhibition while at COSI, in Columbus, Ohio which was experienced by over 9,000,000 visitors at science centers across North America. He oversaw the development and creation of the Steele Visitor Center at Lowell Observatory, including the interactive exhibits Tools Of The Astronomer. He helped lead the development of Decoding Starlight spectroscopy exhibits at McDonald Observatory’s new visitor center. 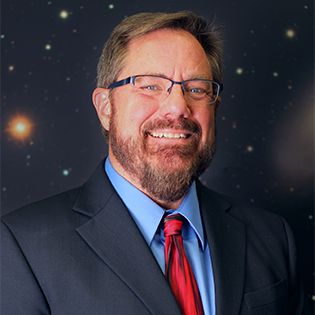 He has directed several museums, the NASA Goddard Space Flight Center Visitor Center, and a planetarium pursuing his passion for sharing the excitement of science with the public.